A man has been charged in connection with a hit and run in Sussex in January. Gavin David Dawes, 33, unemployed, of Phoenix Rise, Brighton has been charged with causing the death of Jonos Sasvari by dangerous driving on January 10 in the Old Steine, Brighton. 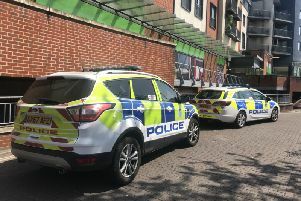 He was also charged with two additional counts of dangerous driving and has been remanded to appear at Brighton Magistrates Court on March 10. A 35-year-old man remains on bail until March 14 for dangerous driving, drink driving, failing to stop for police and failing to report an accident.